Gibson is well-known for producing Gibson dinnerware; however, they also are leaders in the markets of flatware, cookware, glassware, and plasticware. They also distribute licensed products from Coca-Cola, Precious Moments and Peanuts. 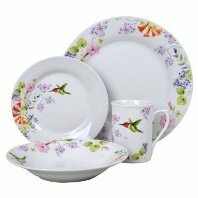 Gibson Everyday Dinnerware is the brand of their casual dinnerware sets. 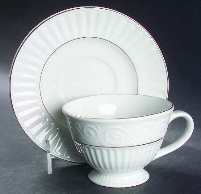 Gibson Elite Dinnerware is a more upscale brand of dinnerware Gibson distributes and it is pretty exquisite. 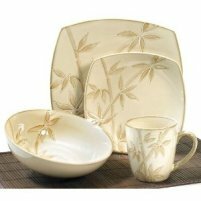 The dinnerware selections are numerous ranging from white ware to gold and platinum. 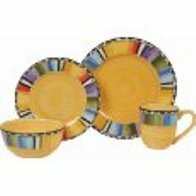 The banded dinnerware is very practical and their hand painted dinnerware is so vibrant. Of course they have solid colored patterns and decorated patterns to make their line complete. 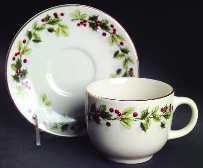 Gibson dinnerware sets are very reasonable, and the variety of patterns is enormous.